was a " gift " from the NS guys for my unmoving, unshakable support. well a gift + a hand full of crisp emperors heads!! = all time fave, only take it out on < show days. got a mountain weekend this weekend. very tall tree laden fairways , think solid augusta accosutics. and why not, prgr ballz! I don't know but shouldn't the irons grips color match your NS Blue bag? Shoes too? grips yes ure I got blueies on another set., I don't reallllllllllllllllllllllllllllllllly go out to match that far. but that wud get frustrating! Stu I just love reading your posts. We get these big long stream of consciousness posts that require google translate *gibberish setting* and then short concise and precisely spelled updates. I’m not a doctor so I don’t know what exact condition it is you have but brother don’t change a thing! Shine on you crazy diamond! 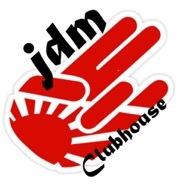 I’ve learned more about JDM from you than everyone else combined. NS 2g18 proto iron shafts .second is NS sp orange or shimada 3001 HS a totally diff tack to last season where it was NS 125s or SP blue by a mile. blade heads , don't matter by whom. im crushing these at the moment. cant even look at anything with a cavity in it. RAZOR sharp wedges. tourstage x wedges, yonex ezone, fourteen mt protos . ANY putter shape that isnt an ANSER or plumbers neck!!!!!!!!!!!!!!!!!!!!!!!!!!!!!!!!!!!!!!!!!! see I did all this and didn't even mention TM spam or the green goo for CALLY or vomit vokey spam pop outs.